After coming to the end of my current shampoo and conditioner, I decided that instead of going back to the same old usual products, I'd give something new a try .... I know, I know.. I am wild! 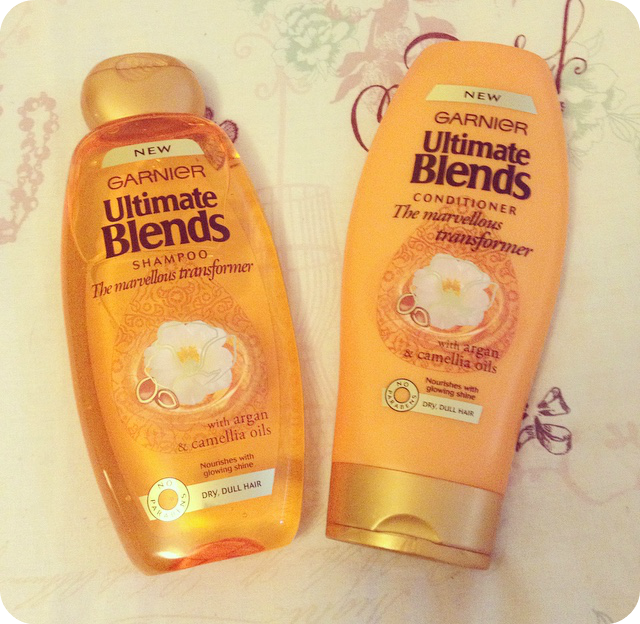 After walking up and down the isle at my local supermarket for a good twenty minuets, I finally decided on the Garnier Ultimate Blends "The marvellous Transformer" shampoo and conditioner. According to the bottles both contain argan and camellia oils and after reading rave reviews on argan oil for years and it's something I've always wanted to try but never really got round to... so this seemed like the perfect opportunity. Garnier claim that these products will both nourish and add glowing shine to dry, dull hair. Now this was a claim that really stood out to me as I find that my hair - especially the ends - can get pretty dry at times. I'm not sure if this is due to using hair dye to lighten my hair or just how my hair naturally goes at times *sigh*. After trying both the shampoo and the conditioner out for the first time last night, I'm happy to say I wasn't disappointed. 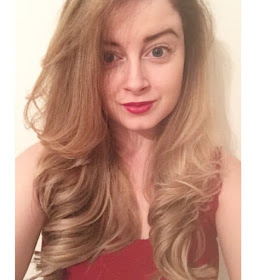 After using both products and leaving my hair to dry naturally - blow drying always seems like such an effort *lazy girl problems* - my hair was left feeling soft and very manageable. Bonus - I also noticed how shiny the ends looked whilst out and about in the evening (admittedly it could of been due to the lights outside, but I'd like to believe it was nice and shiny). These are currently on offer for around the £2 mark in Tesco, so are very affordable and definitely worth it if, like me, you're a sufferer of dry or damaged hair. I'm very excited to try out the other products in the range - if anyone has any recommendations, let me know!